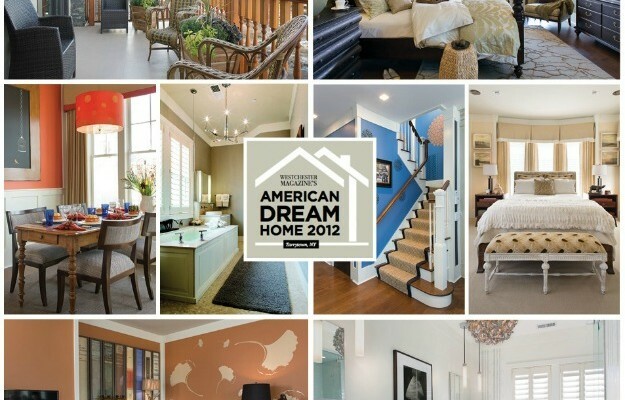 Remember Westchester Magazine’s American Dream Home that I told you about last weekend? New York-based designer Susan Anthony worked with Ethan Allen to furnish and decorate it. When I visited her website, I came across photos of her house, dubbed Acorn Cottage. With a name like that, I had to see more. And it’s so charming, I knew you’d enjoy a tour, too. Take a look! She told the blog All the Best that the house was such an ugly 1950s ranch when she bought it that her friends and family thought she had lost her mind. But the gardens and surrounding property had sold her on it, and she dove into the renovation. Susan is developing a line of sustainable fabrics under the label Acorn Cottage Designs. “Perched on a hill surrounded by oak trees I chose to name my new home Acorn Cottage after nature’s perfect food – the acorn. This home has fed my soul and nourished my heart,” Susan says. I love that. For more photos and information, visit Susan’s website Anthony-Wright Interiors, the blog All the Best, and HGTV. 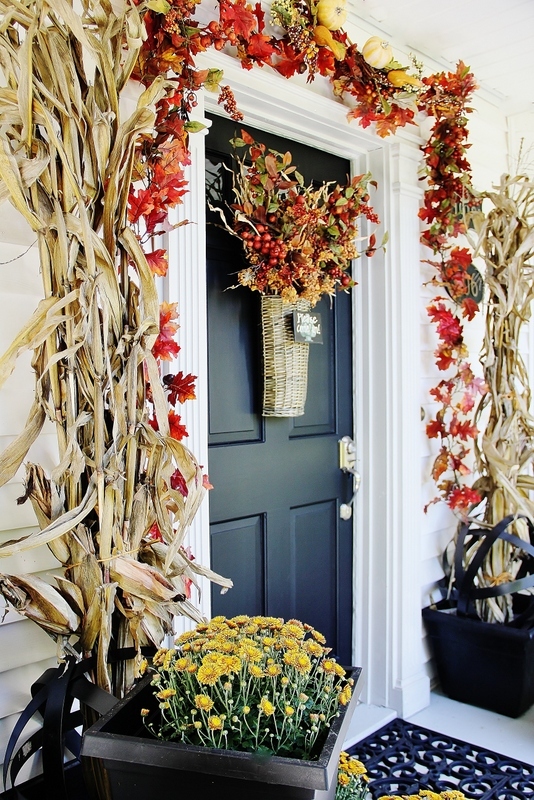 It's Fall at Thistlewood Farm--Come On In! Now that’s a great little cottage! It would be neat to see some of the “before” pictures when it was an “ugly” rancher. I agree! I would love to see more of this home with some before shots. Oh this lovely! That patio area is to die for. Love the way the flagstones just blend in with the stones on the hill behind. I think I would hang a hammock from those trees, overlooking the patio. What a great cottage! Great way to start my day. I soaked up every picture of this adorable cottage. Love the name too! Could move in tomorrow. Took note of the wallpaper. It gave depth and rhythm to the walls that plain paint simply can not do. I chose to name our new home, Gopher Cottage, after natures perfect rodent–the gopher. The gopher leads a simple life. Rather than live in the spacious,weed clogged yards in the area, he chose the ever so tiny, once perfectly coifed, yard on the corner. And he brought his friends to share in his joy! He wanted my life to be simple as well. He took out all the plants that required my morning attention and replaced them with his perfectly formed mounds of fresh dirt. Now in the morning, we play peek-a-boo and dodge-the-hot-cup-of-coffee. He (and his friends) have made my life perfect–perfect hell. Sorry. That is all just petty jealousy. I want to live in Acorn Cottage. Or I wish my gophers would go live there! Love the cottage, love the name! I, too, would like to see the ‘befores’. It’s great that she was able to do such a *green* renovation. Kudos to her. I love everything about this one. It’s gorgeous! I love that shade of green that she used. Not always a fan of wallpaper, but I think she used it well. I would love to see before pics. This is one remodel that turned out great! Julia, I really love this blog, the houses that you post are amazing and your house is amazing, I love how simple but effective it is! This house on this blog is amazing aswell! THIS is one gorgeous cottage – so full of warmth and charm. I could live there in a heartbeat and not change much of anything. Thank you for sharing it with us. “…the house was such an ugly 1950s ranch when she bought it.” What are you trying to kill me? 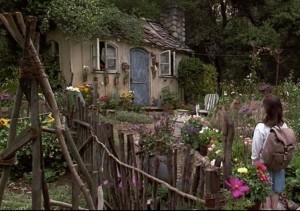 Seriously, it is super charming but I would LOVE to see more of that yard. Looks pretty spectacular. Ok….I’ve found it. My true, true dreamhouse. I know I’ve said it before, but this time it’s true….I can see myself in this house being happy forever. Ok. It may not fit the exact description of what my son and twin boys have in mind, but a woman can dream, right? This is one for the inspiration book, for sure! 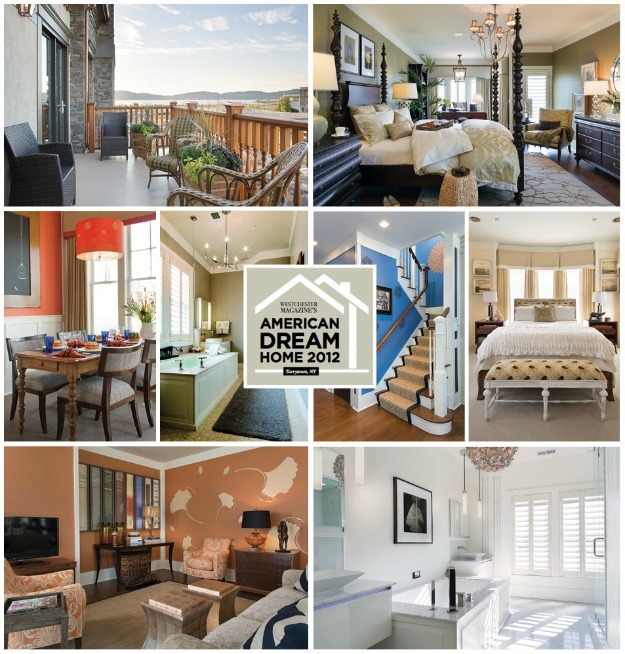 Thanks for inspiring us with gorgeous homes, Julia! Acorns generally require extensive processing to be edible. Unless you are a squirrel. So nice to hear from a squirrel’s point of view on this. Ha. What a charming and nice cottage. This would make a great getaway. Julia, you always post the most swoon-worthy homes! This home is truly enchanted. Beautifully edited and masterfully executed. Love every room. There are several I’d like to pin to my Pinterest inspiration boards as my husband and I embark on building our retirement home, but since there doesn’t seem to be a way to do that, can you get permission to pin to your board? I follow you 🙂 so I could repin! Feel free to pin whatever you want from my site, Beth! Don’t you have the “Pin It” button up on your toolbar? That’s how I do it. Wow! That was fast! I don’t believe the IPad allows you to put a “pin it” button on the Safari tool bar (at least as far as my technically challenged skills could determine! ), so if a site doesn’t have its own button I use the Pinterest app, which does have a pin button when you go to the web through it. I went to the designer’s web site through the app, but as seems to be the case with a lot of designers, it doesn’t seem to allow images to be pinned :(. However, not to be deterred, I tried the HGTV link you provided in your post, and since they had a “Pin it” button–success! Sorry to have jumped the gun before exhausting all my options first :/ and thanks again for your speedy response! I would move in tomorrow and not change one thing. Love it. I’m ready to move in! Holy Cottage! I am in a total love affair with cottages right now! Thanks for sharing! Oh cottages. I won’t ever tire of them, I won’t. Really nicely done, but I’d love to see floorplans! She added all that with just 48 inches? Me thinks she has Harry Potter magic! This is such a pretty and cozy cottage. Here are a great article on how to maintain the perfect cottage (eieihome.com/blog/7-tips-to-summer-cottage-perfection.html) Enjoy! It is Mora clock, not Moira. Mora is the town in Sweden, in the region of Dalarna, where those kind of clock were produced.